Staff and student volunteers who are travelling to India later this summer are ‘Walking for Bhopal’ to raise money for several charitable organisations that they will be working with and supporting. 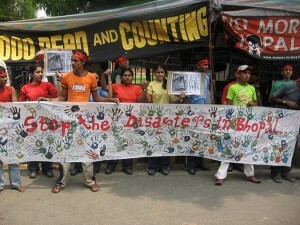 The city of Bhopal was affected by the World’s worst industrial disaster over 25 years ago when a Union Carbide factory exploded, killing nearly 4,000 people and seriously affected over 500,000 others with poisonous gases. The group will be working with an orphanage and platform railway children from families affected by the disaster. A group of our social science students will also be supporting victims of domestic violence in slum areas and a mental health organisation which provide rare support and therapy for adults with mental disability such as autism. if you would like to sponor the team please visit theirfundraising page. Alternatively, the group has also organised a live acoustic band evening at 19:30 on Wednesday 15 May, £3 entry at the Student’s Union, City Campus. Buy tickets in advance fromDivine Charura or come along on the night to show your support.